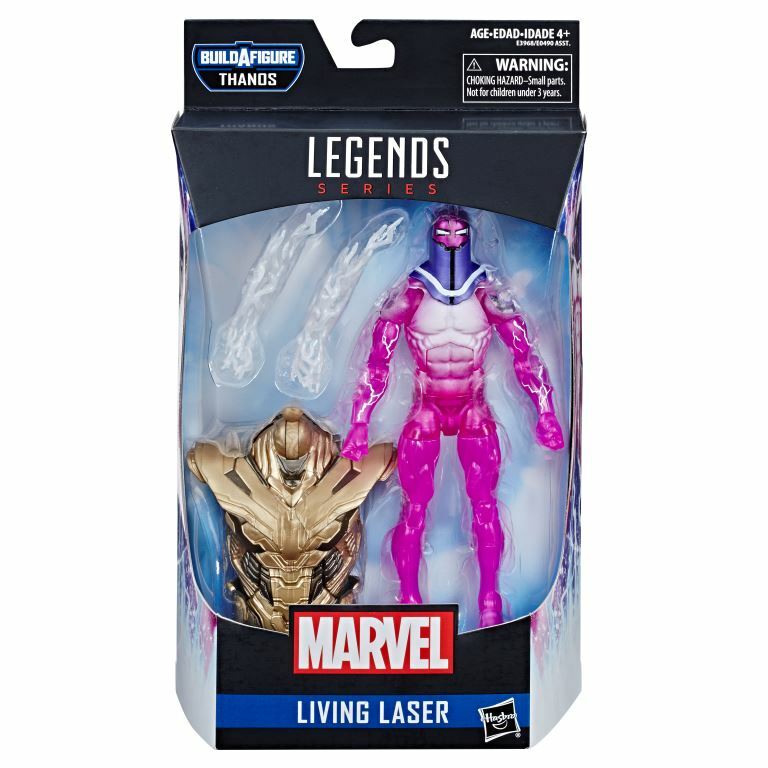 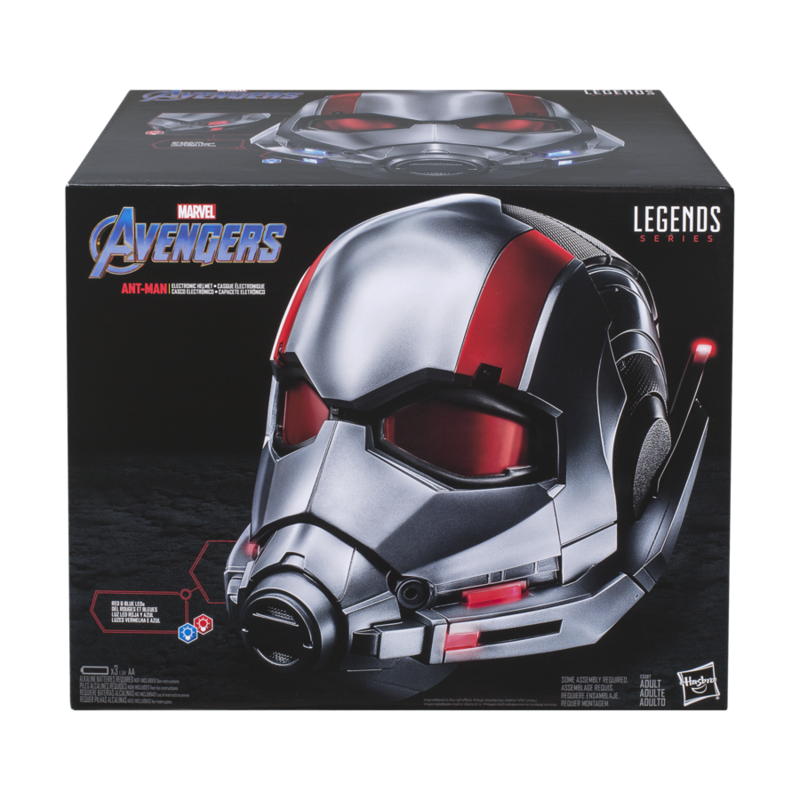 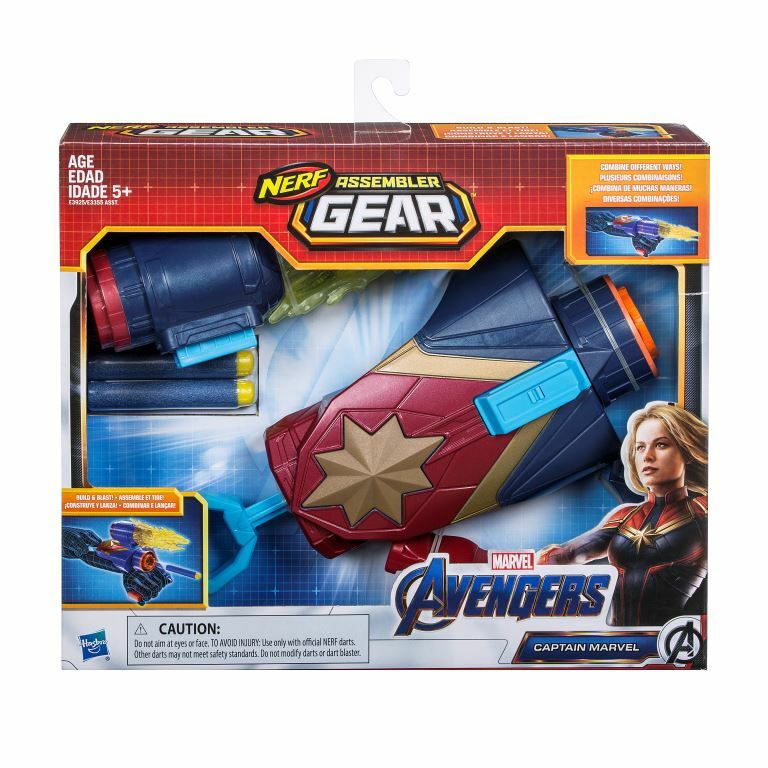 With just under a month to go until the release of Avengers: Endgame Hasbro revealed their lineup of products for the upcoming movie which includes Roleplay, Nerf Crossover Products, 6-Inch, 12-Inch, and Legends Figures. 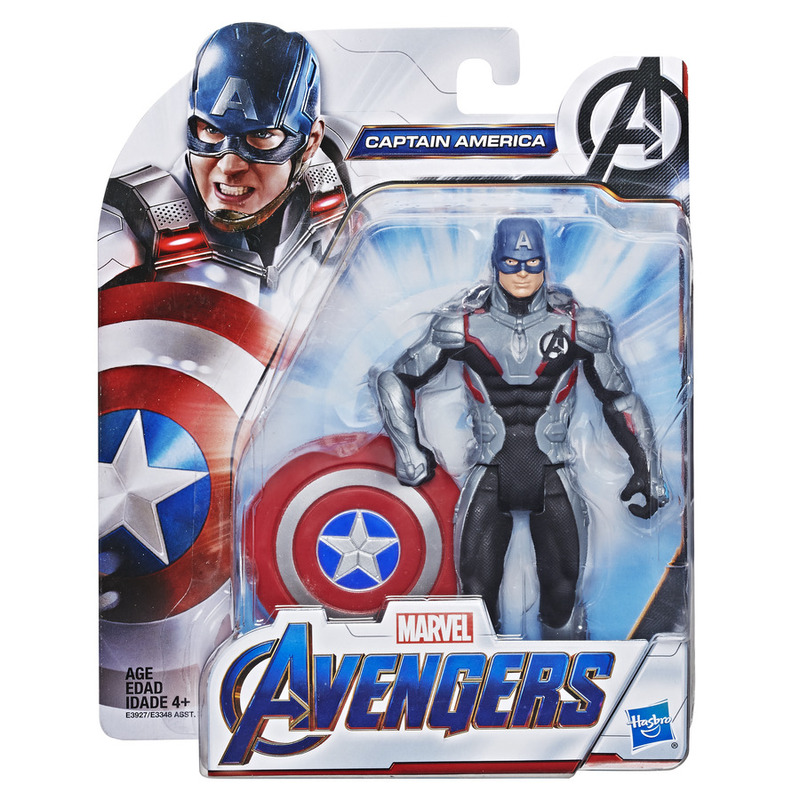 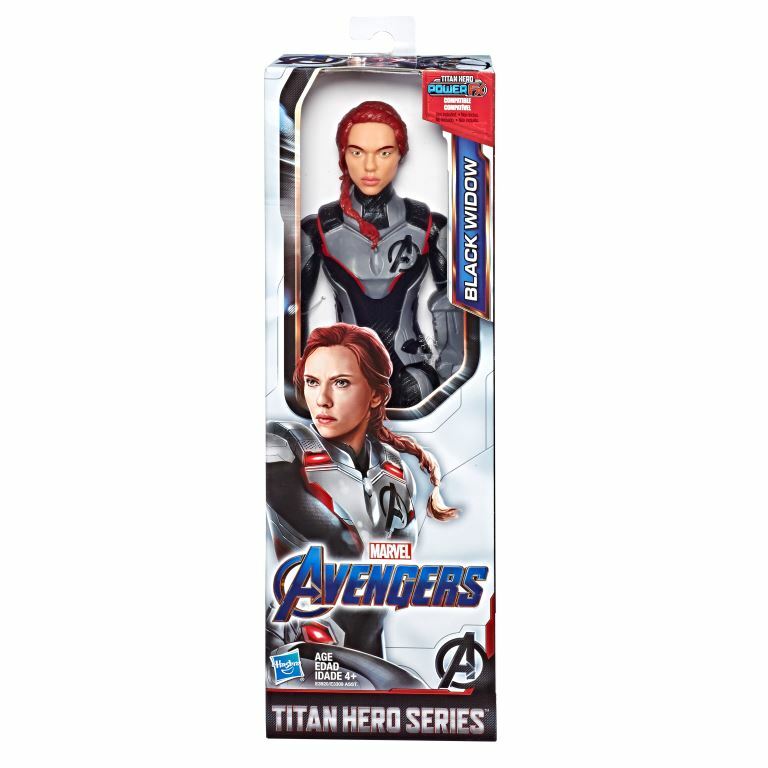 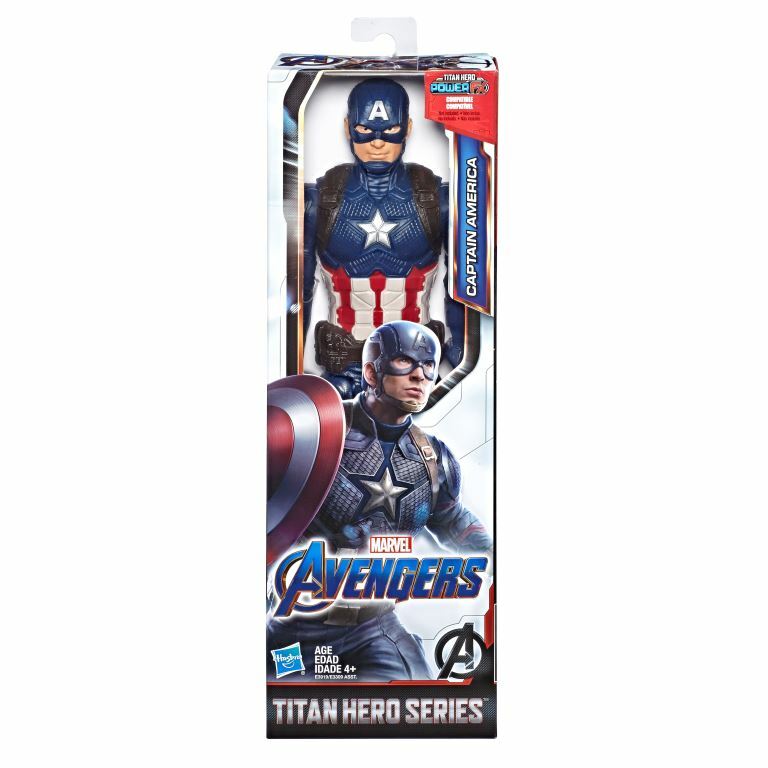 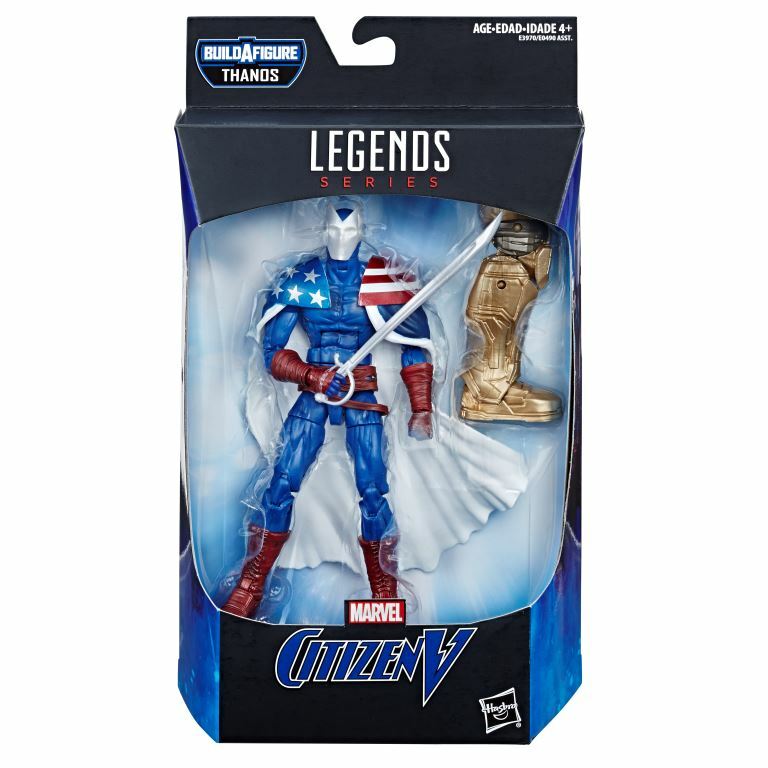 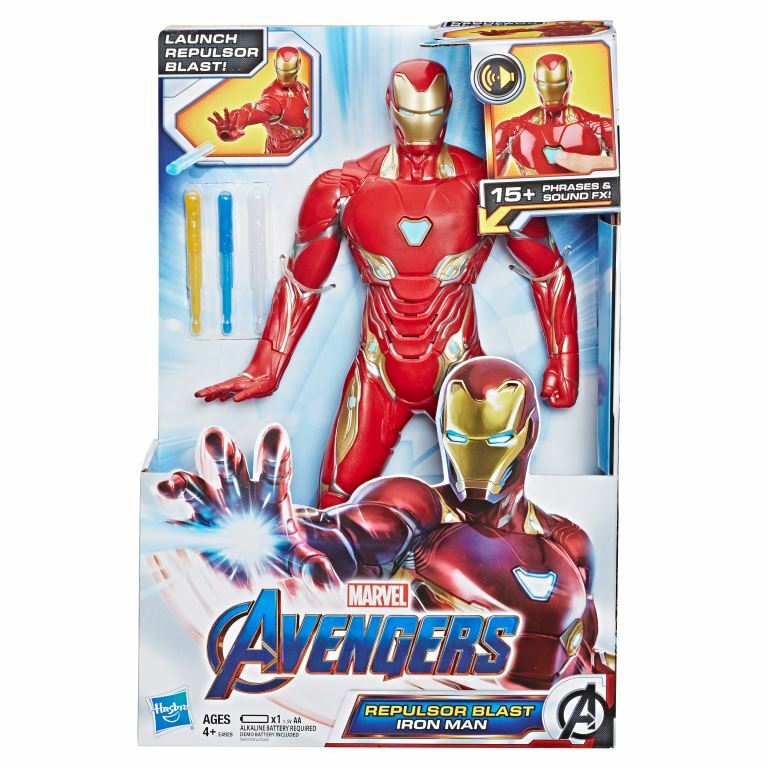 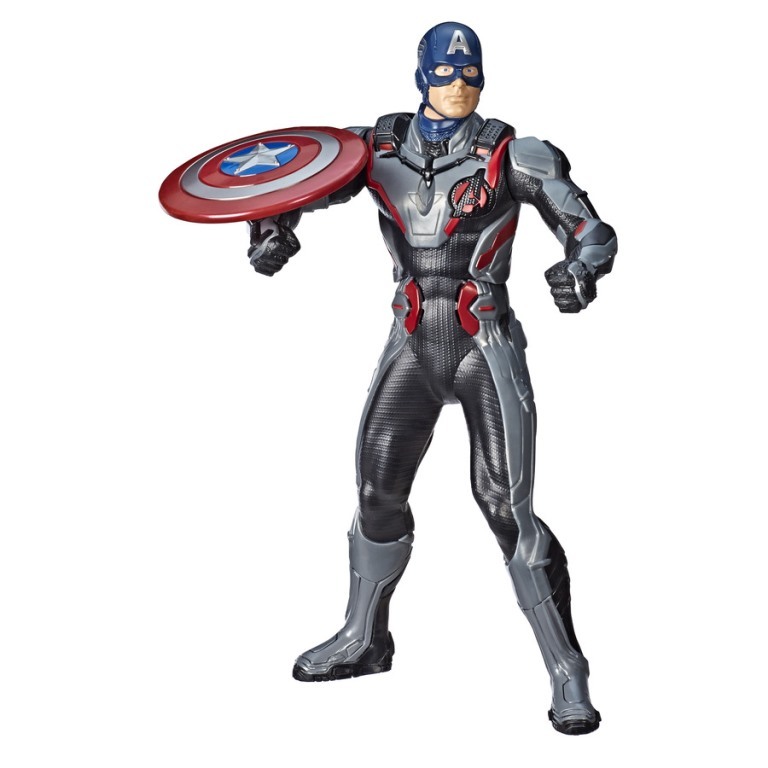 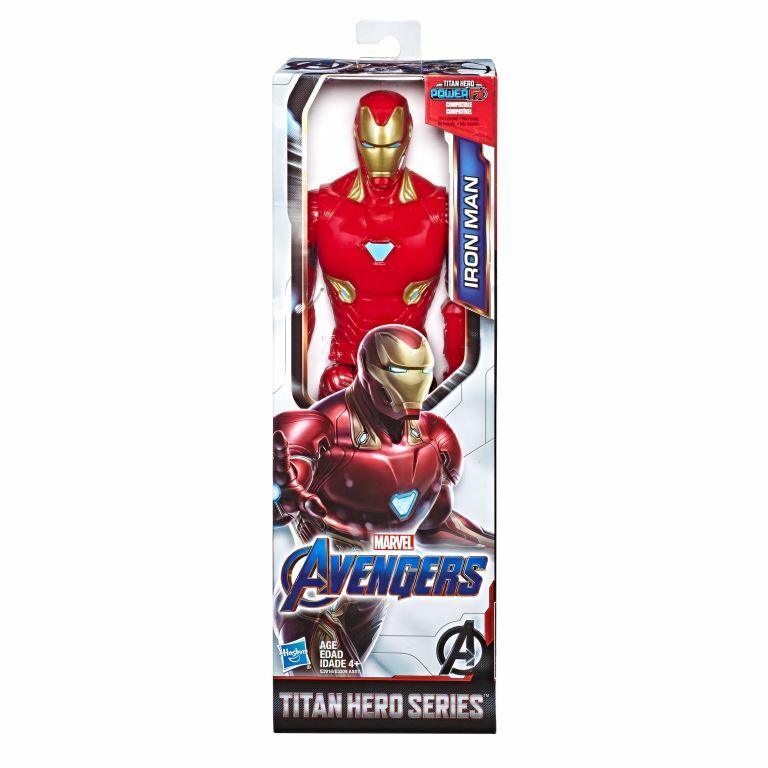 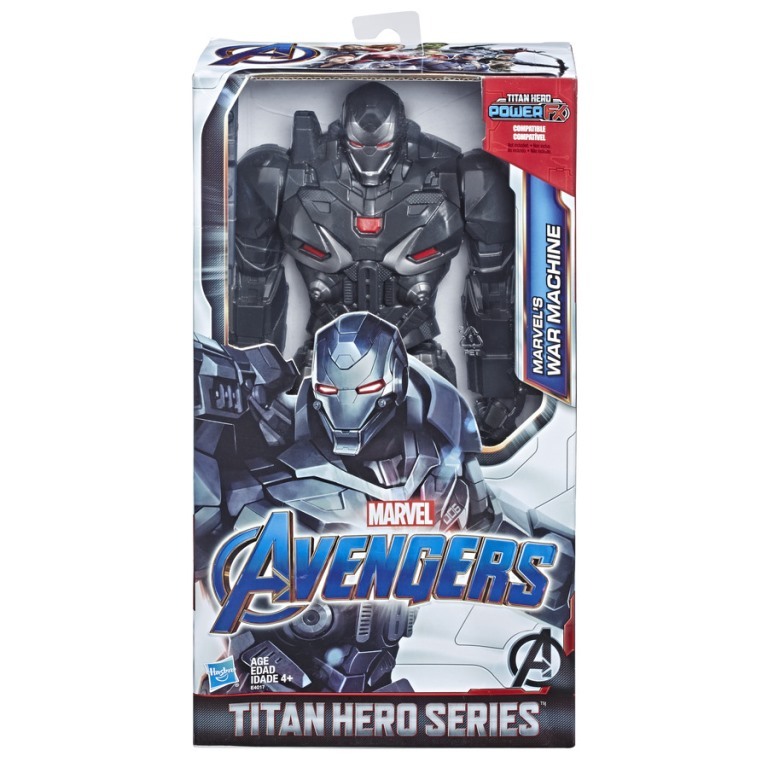 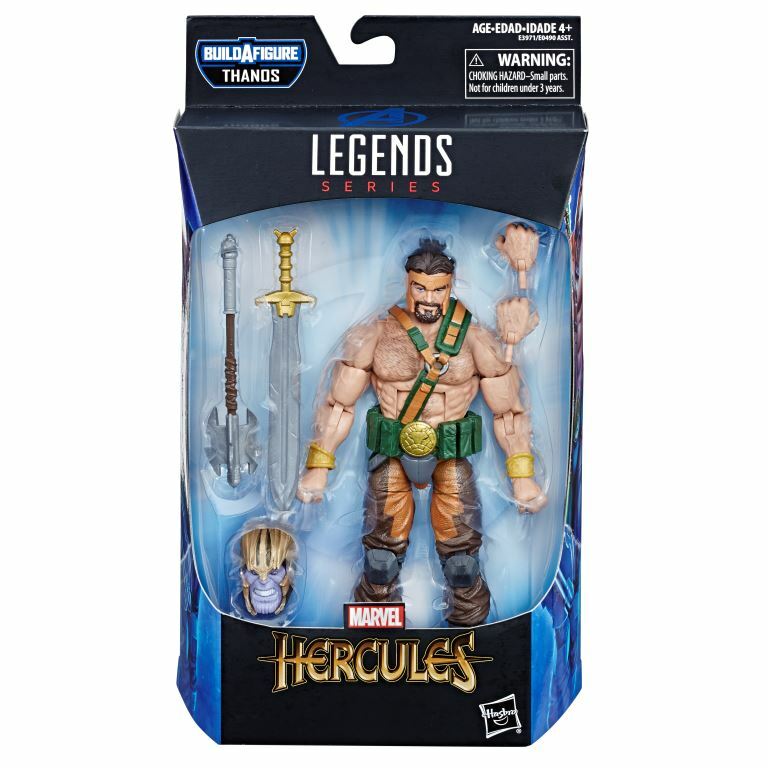 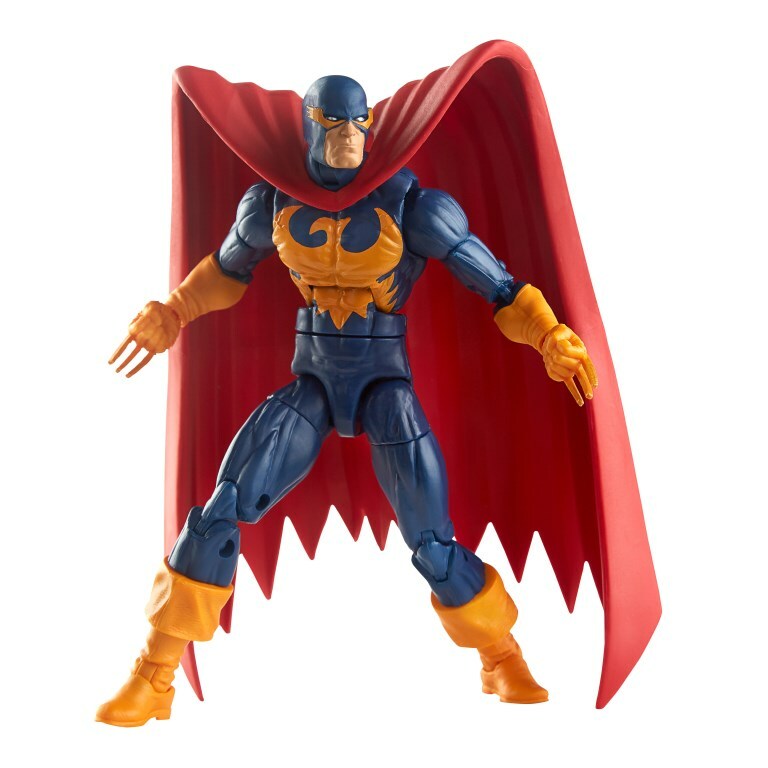 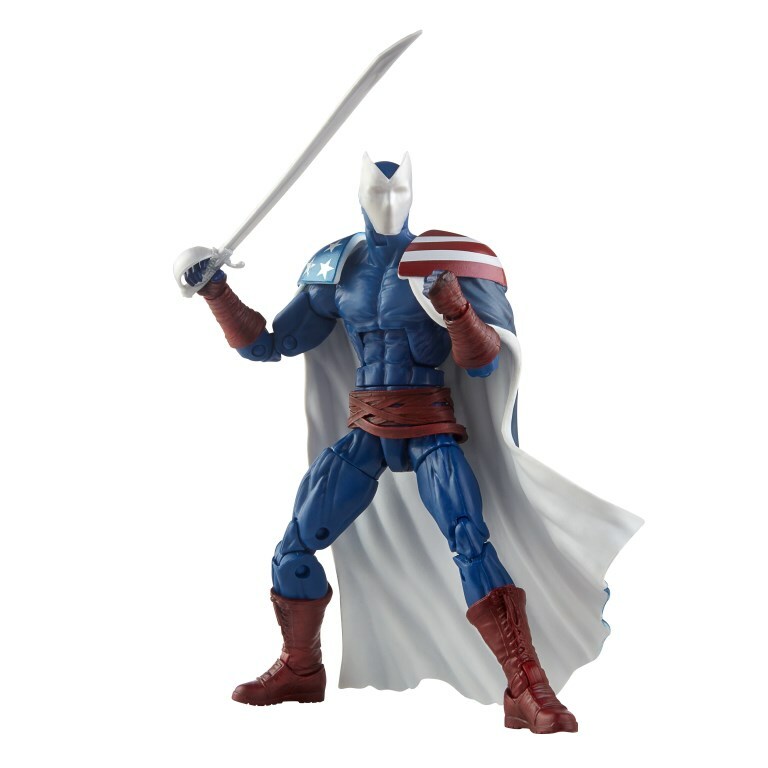 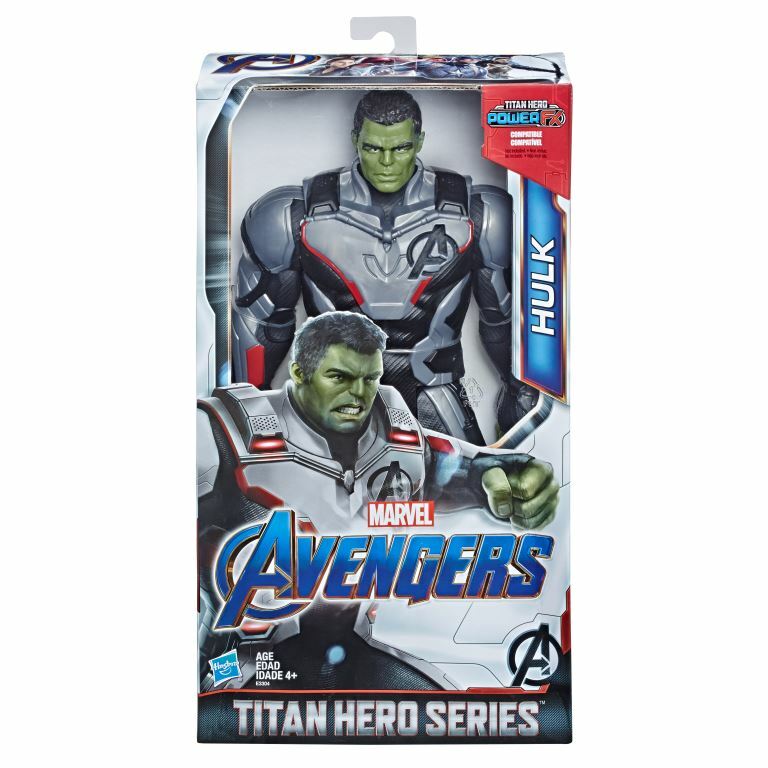 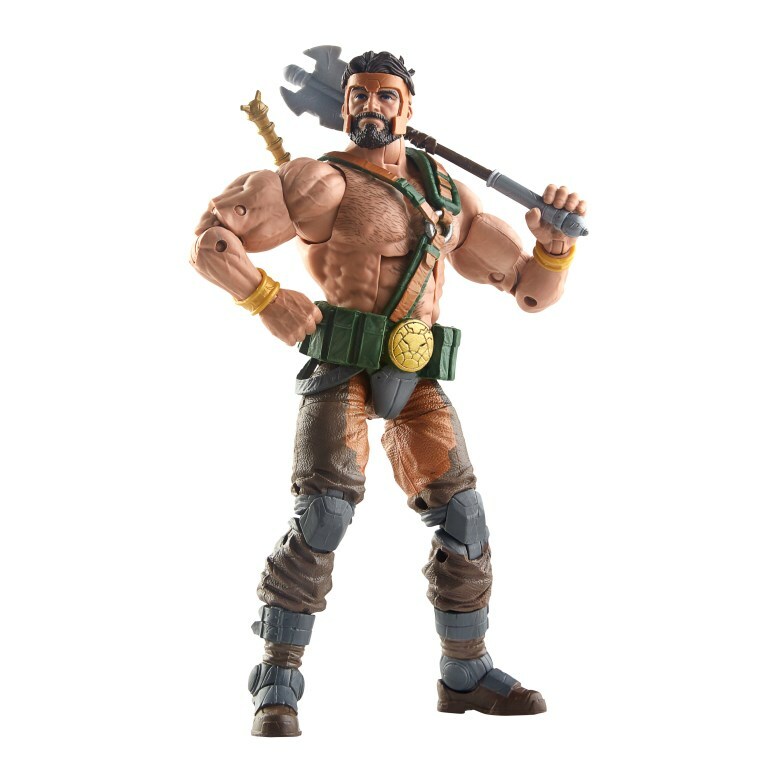 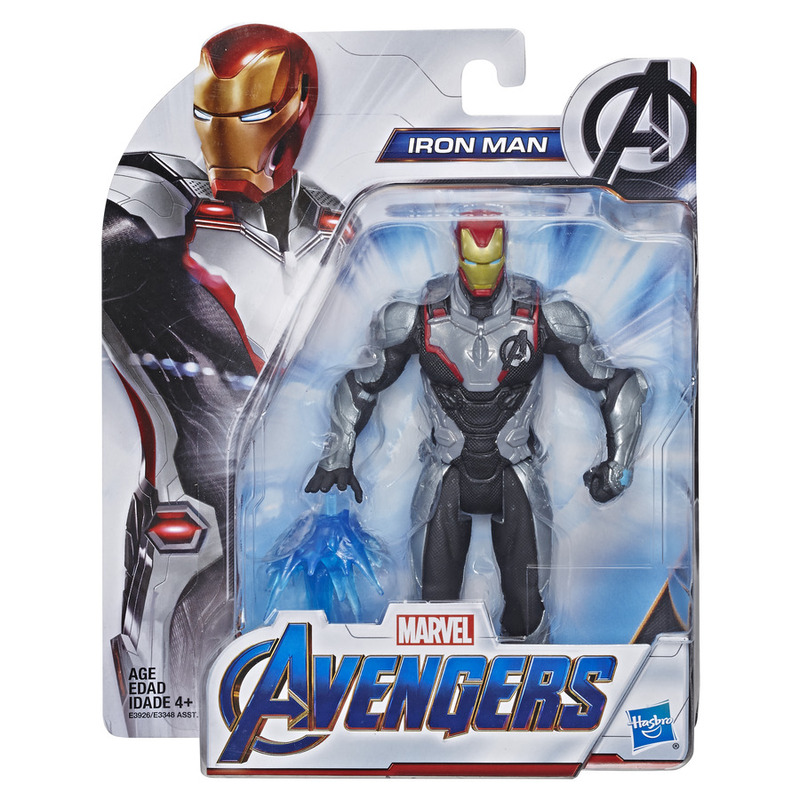 These 6-inch highly articulated figures and feature MARVEL-entertainment-inspired design with heavy detail and accessories. 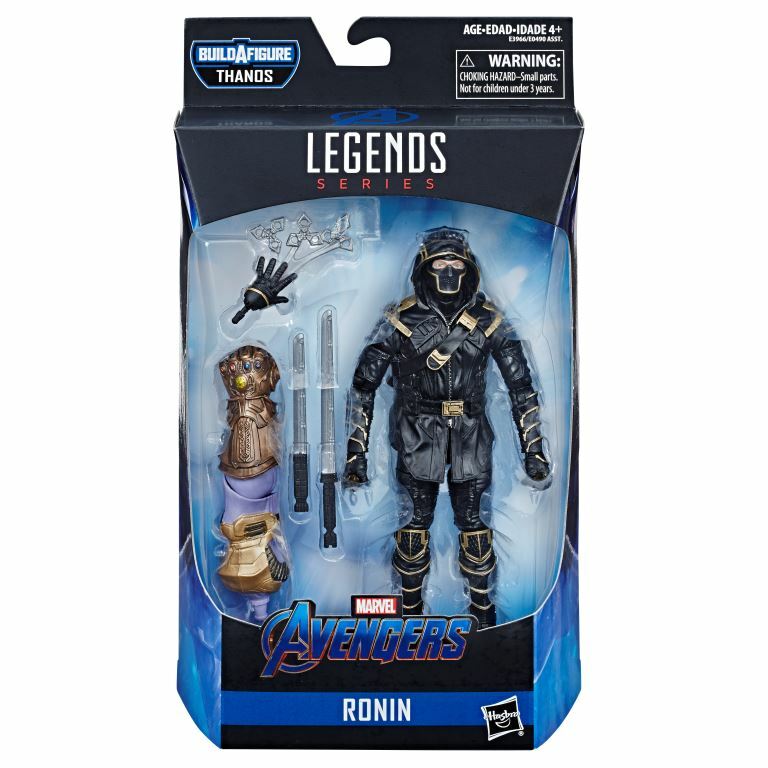 This assortment includes Captain America, Ronin, Living Laser, Nighthawk, Citizen V, Hercules, And Ebony Maw. 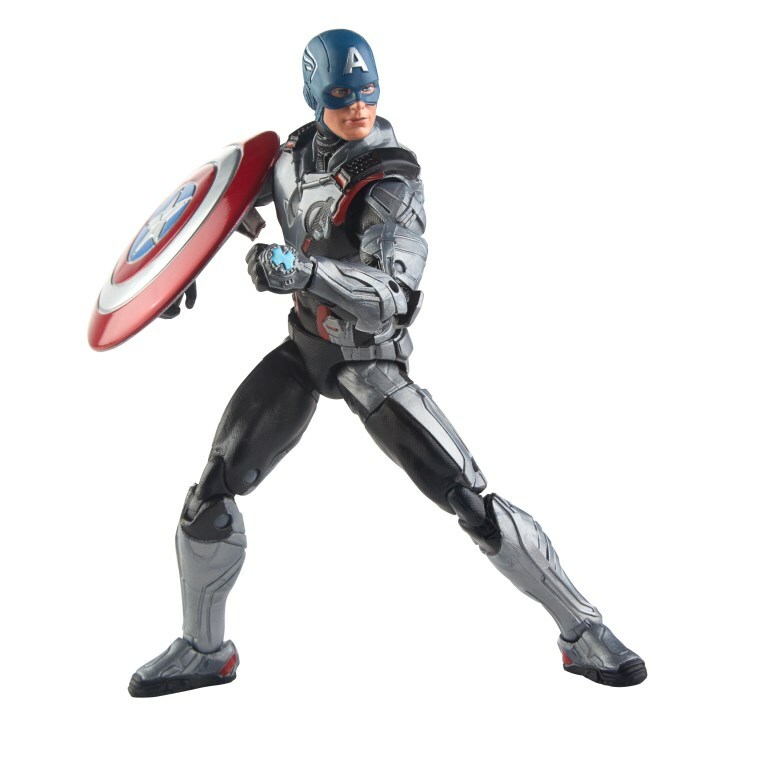 Inspired by the upcoming movie the 6-Inch figure line features articulated arms and head and movie-inspired deco. 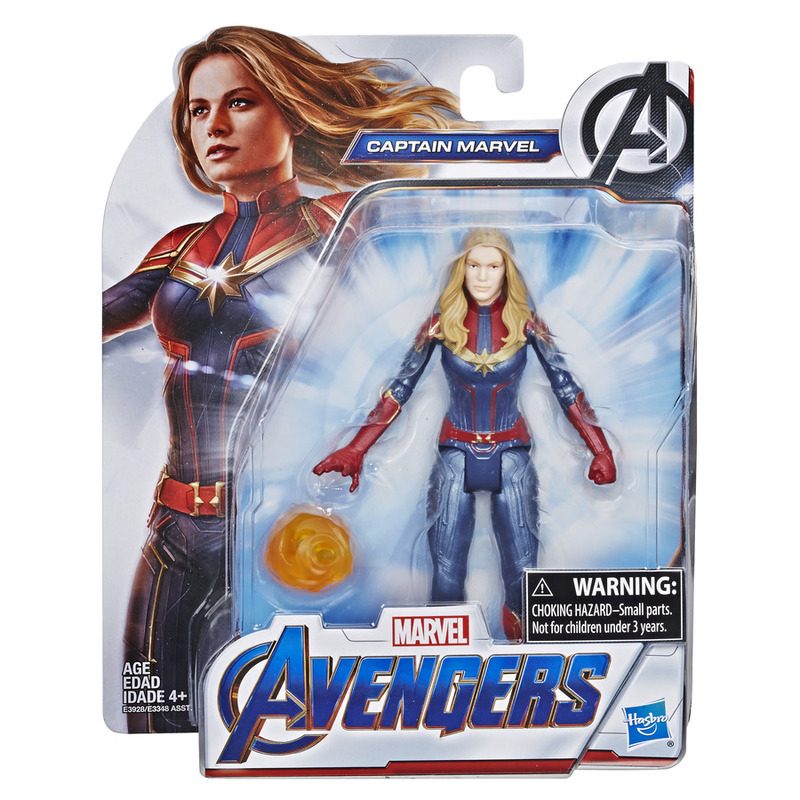 The line includes a slew of figures including Captain America, Iron Spider, Black Panther, Ant-Man, Chitari, Captain Marvel, Ronin, Iron Man, Captain America, and War Machine. 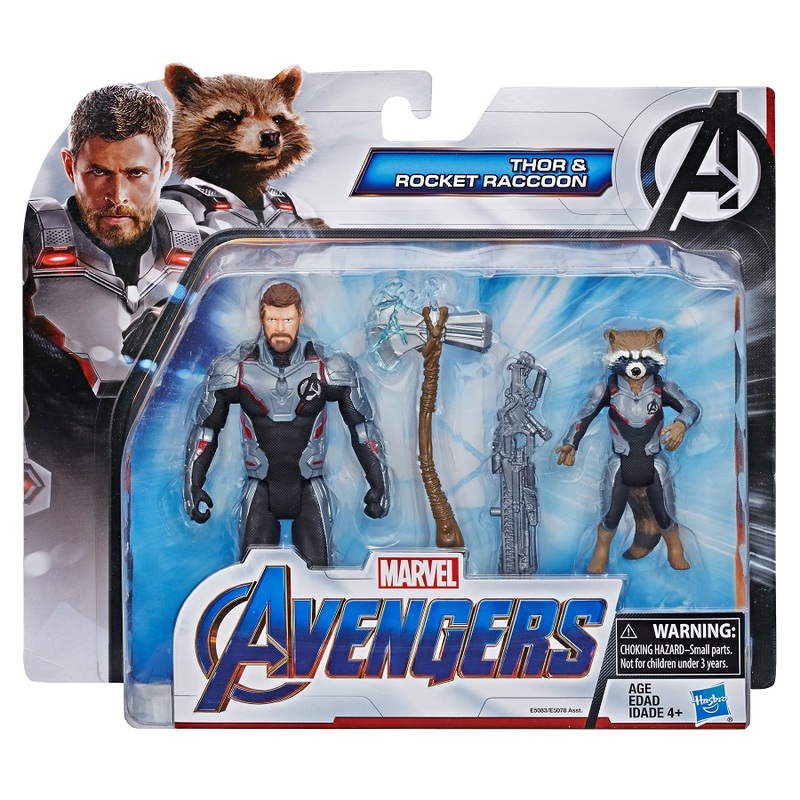 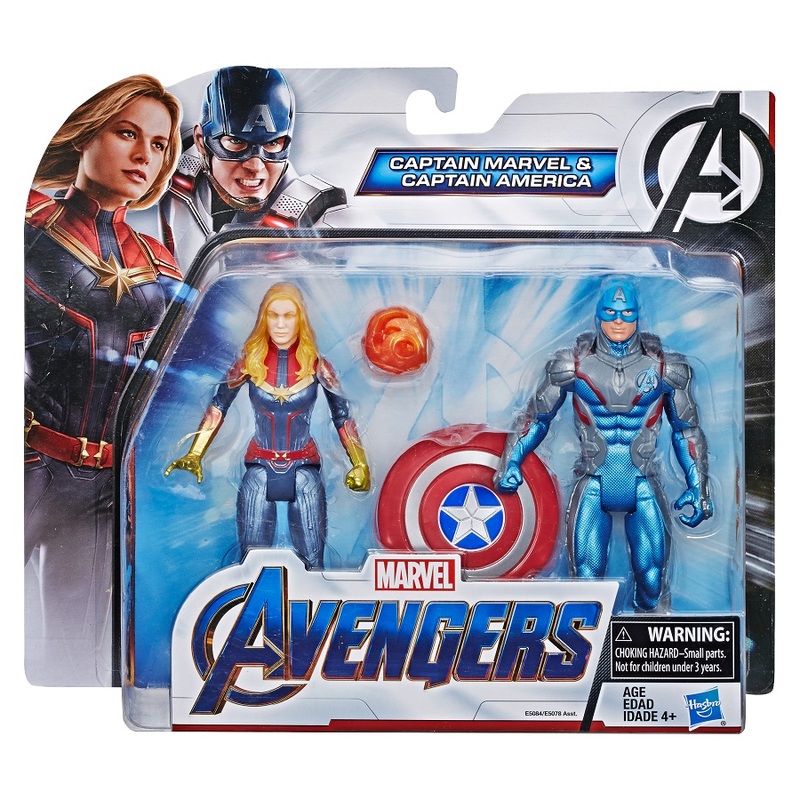 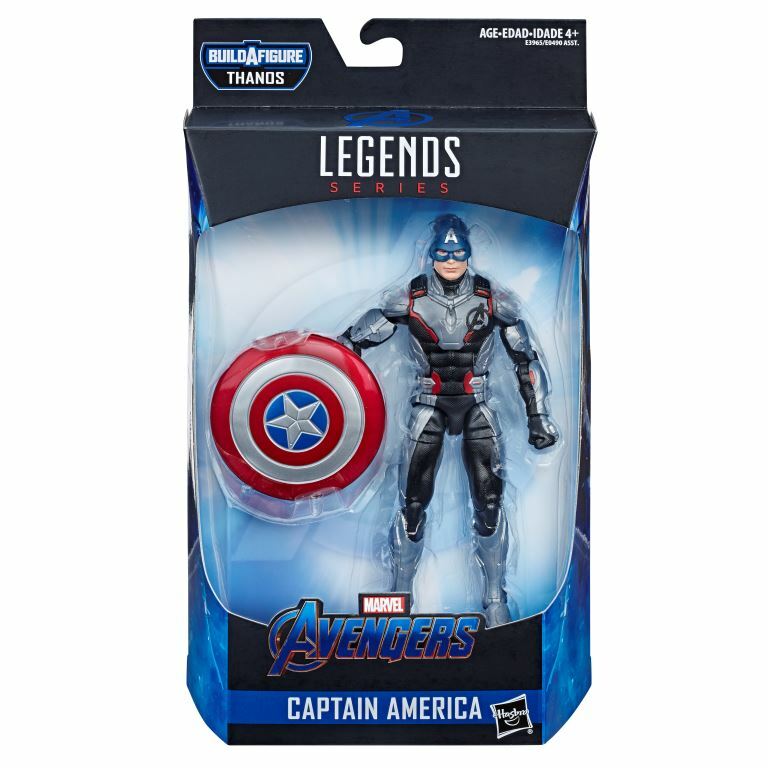 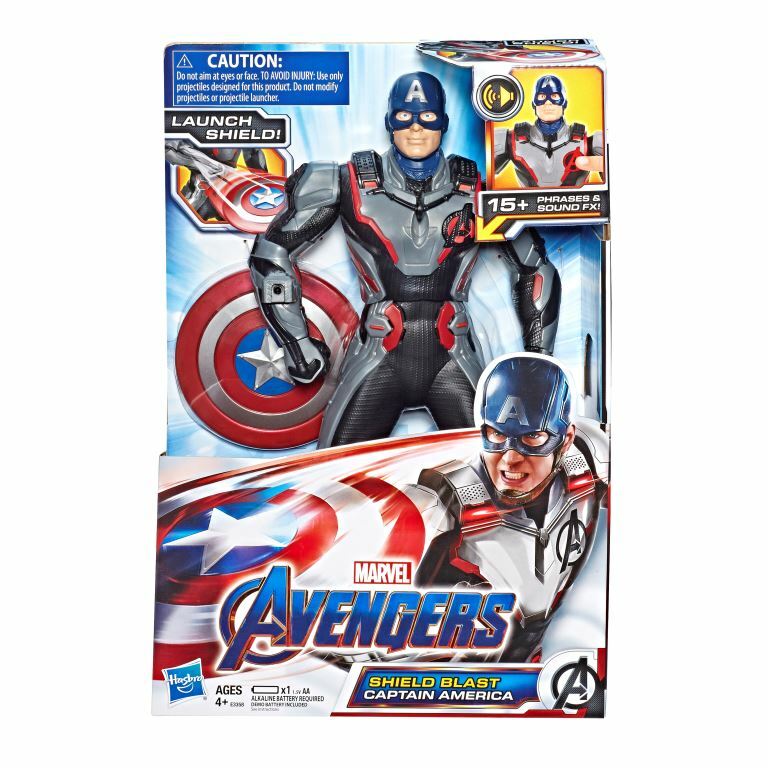 Two packs include Captain America and Captain Marvel and Thor and Rocket Racoon. 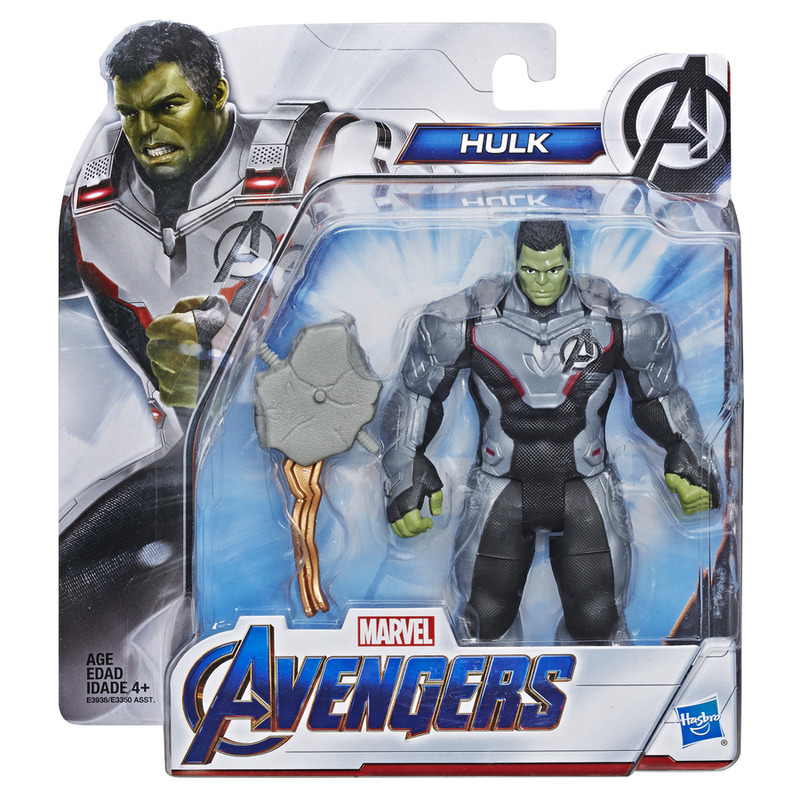 In the line is also a deluxe Hulk and Thanos figure. 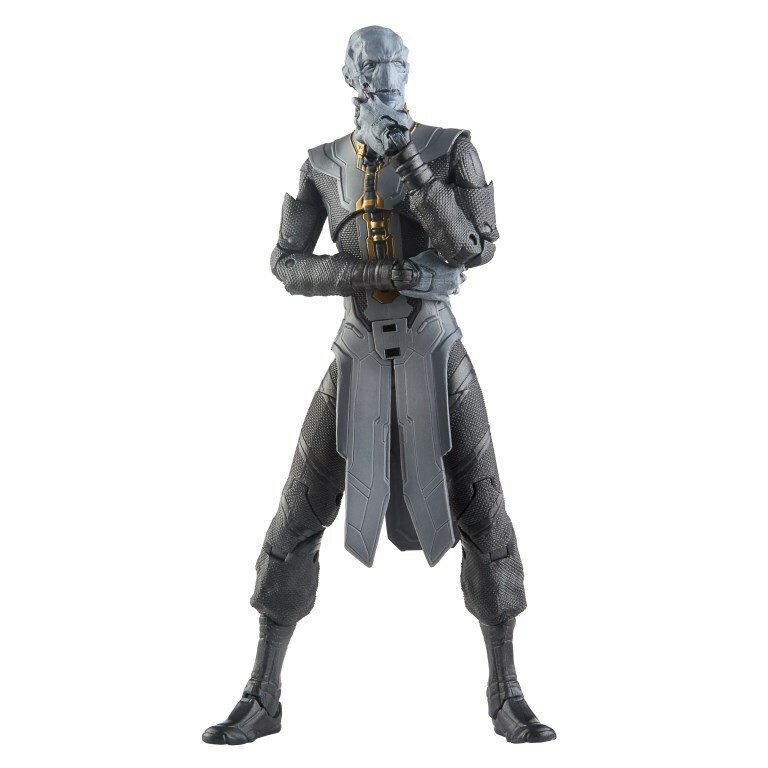 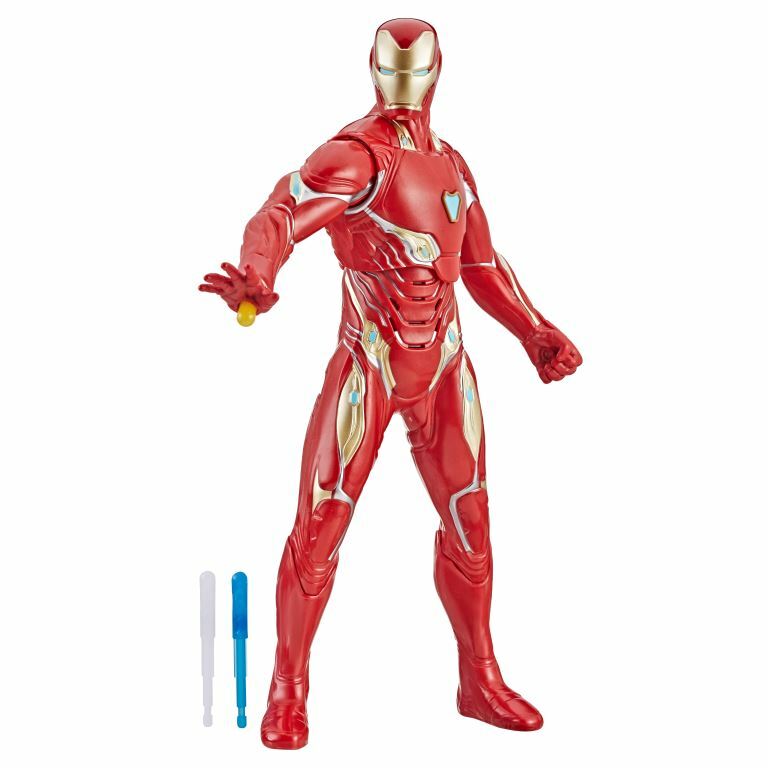 This line includes three levels of figures the standard 12-Inch figures, Deluxe figures, and Power FX figures. 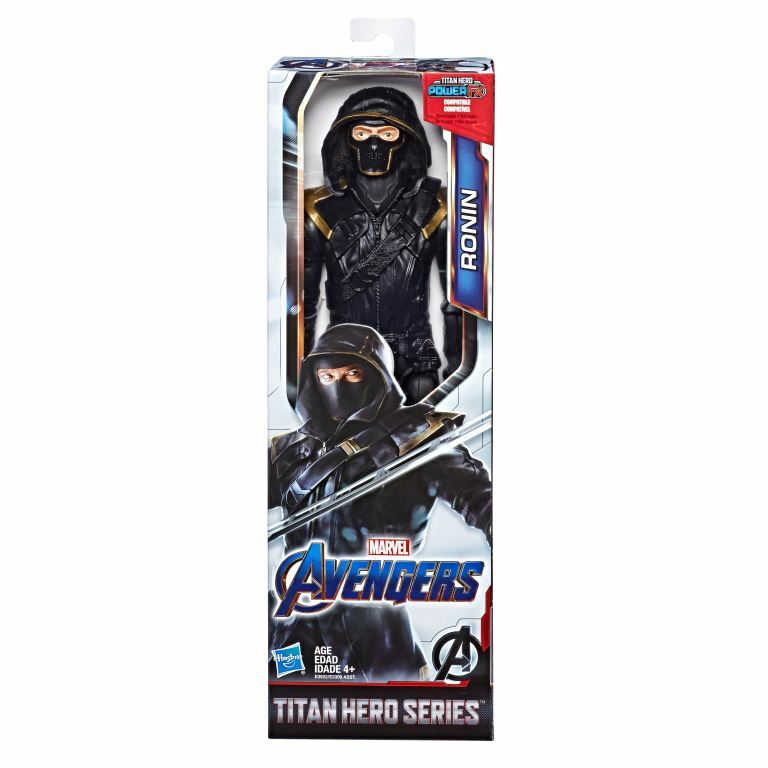 The standard line features Iron Man, Thor, Ronin, Black Widow, Black Panther, and Captain America. 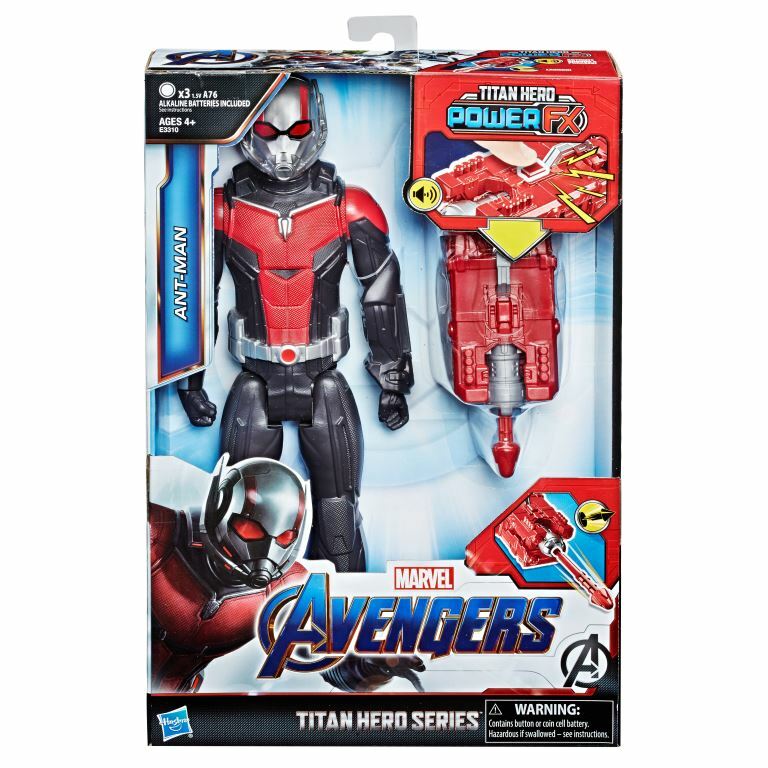 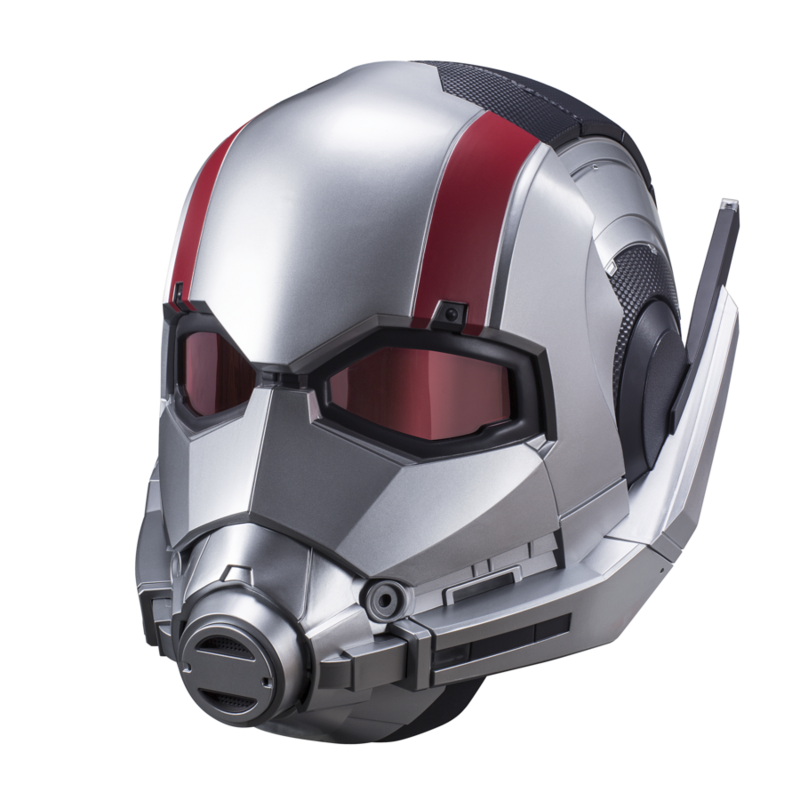 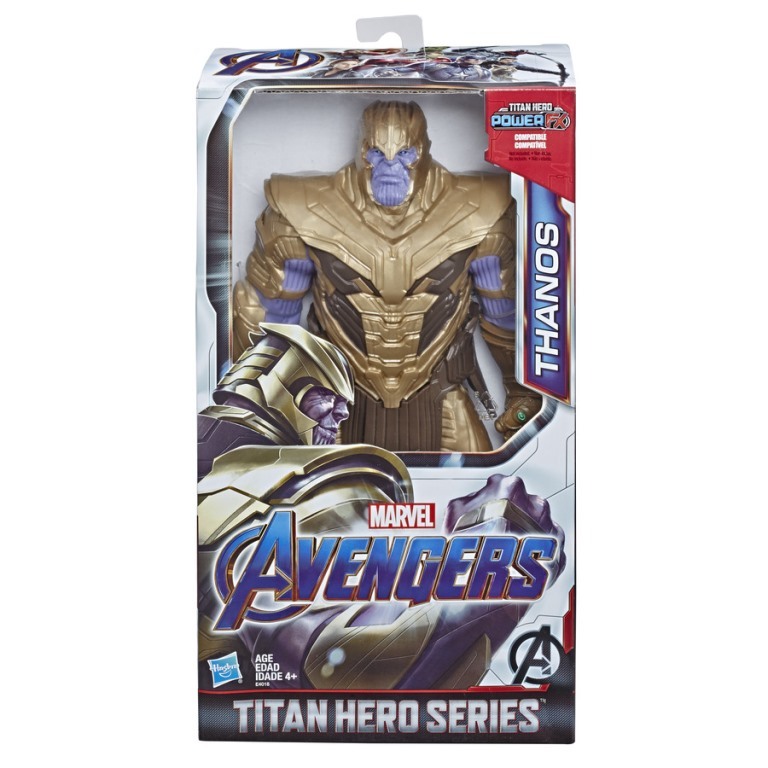 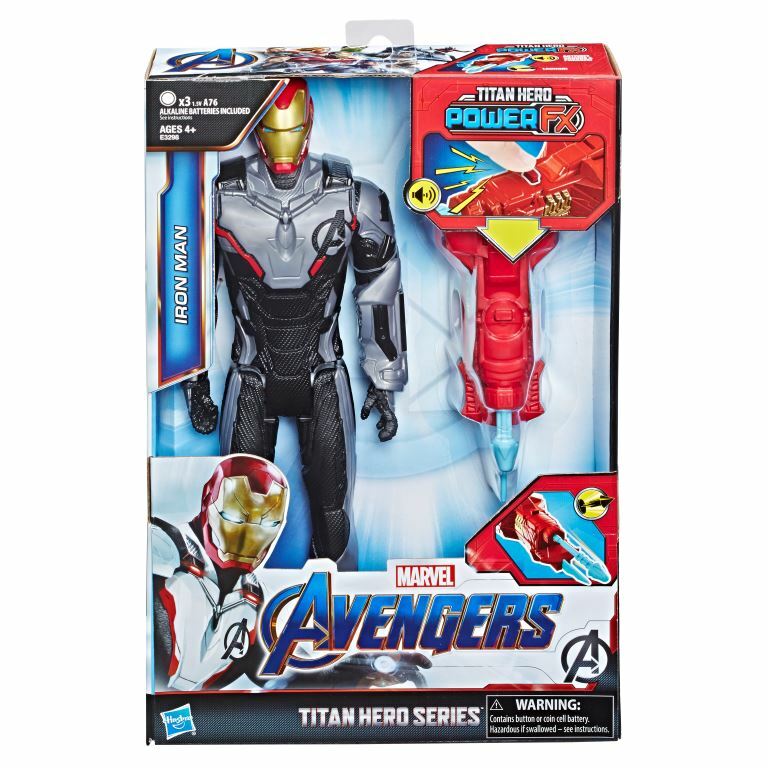 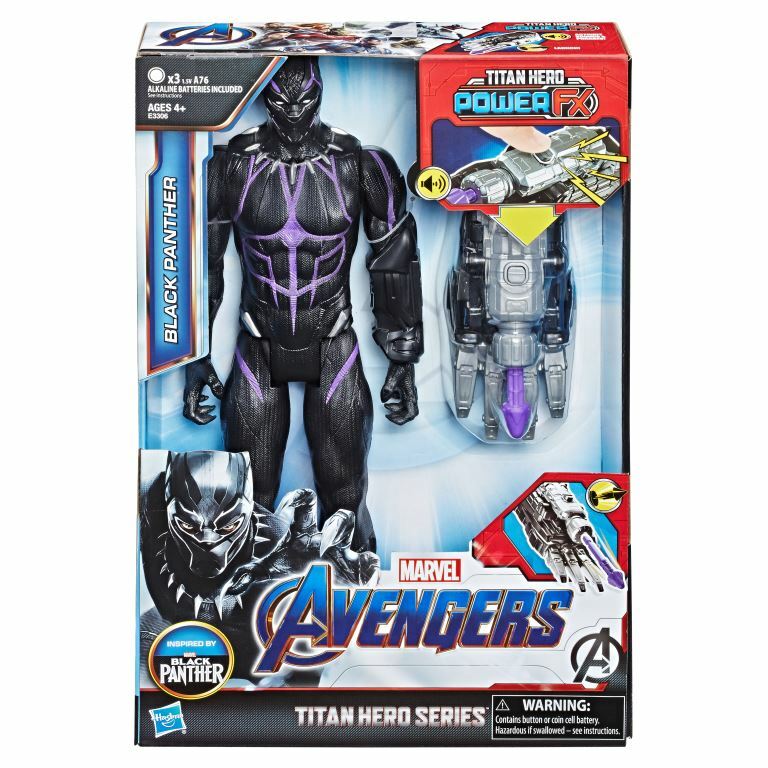 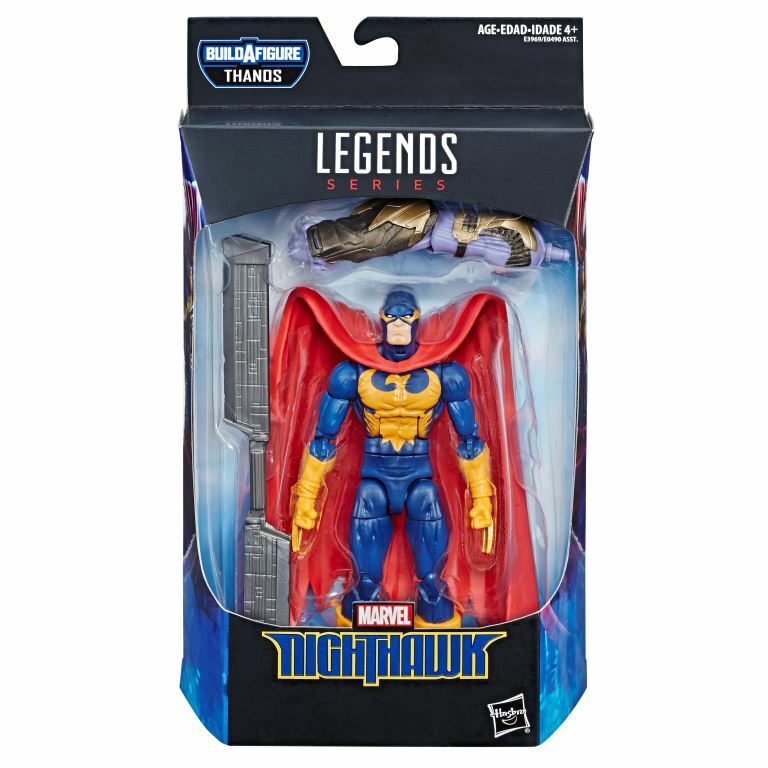 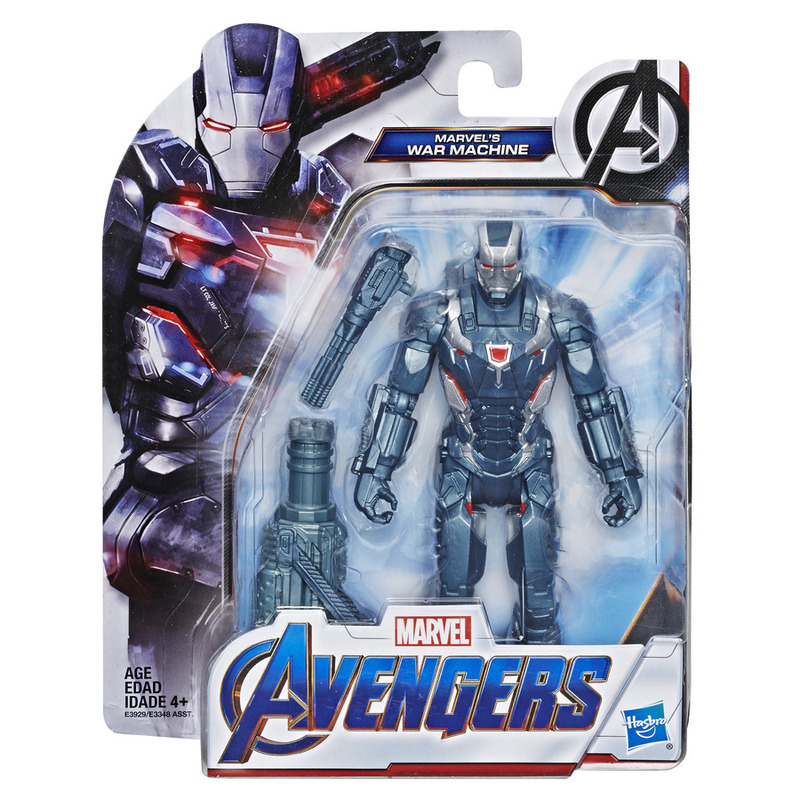 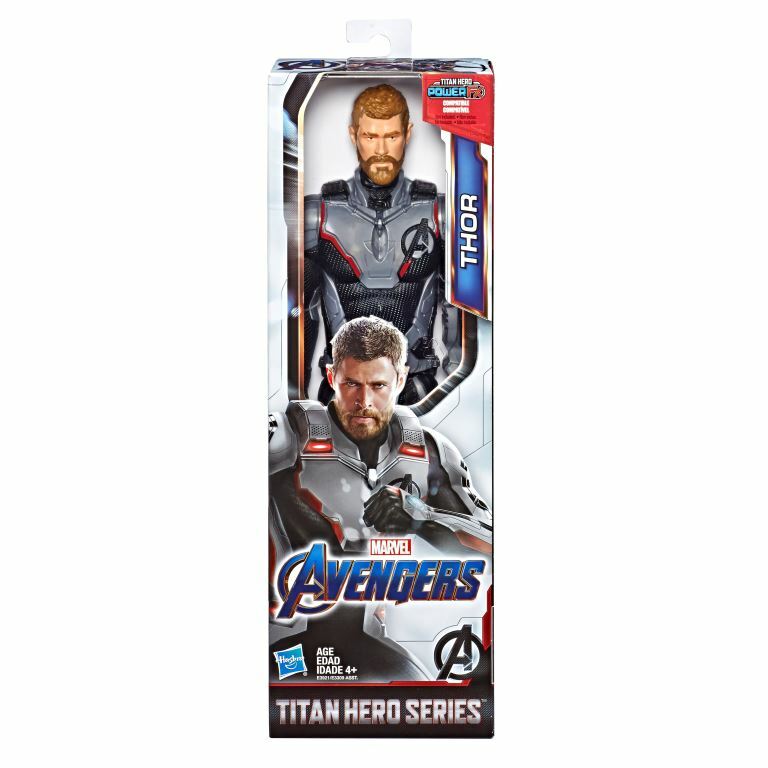 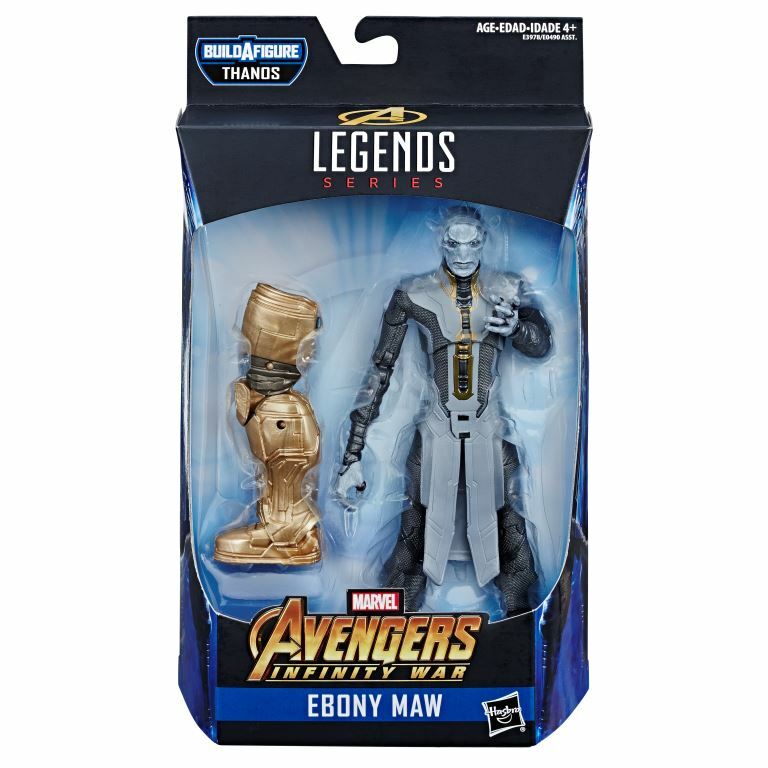 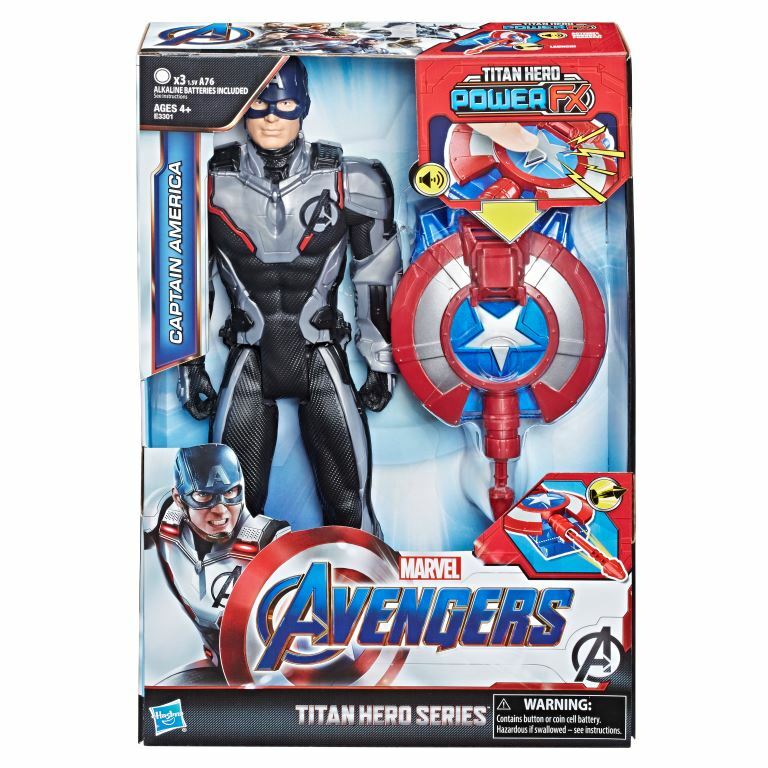 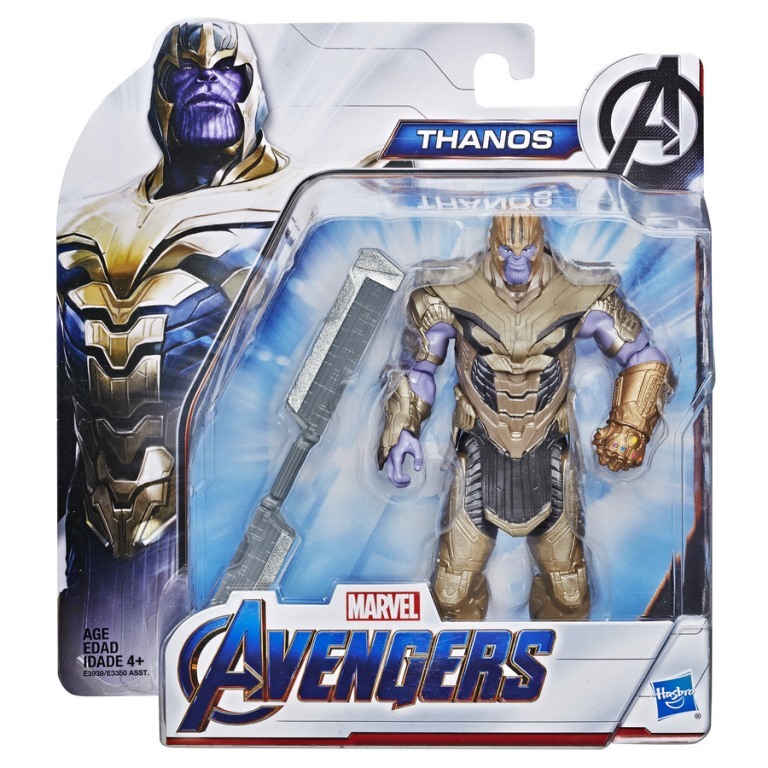 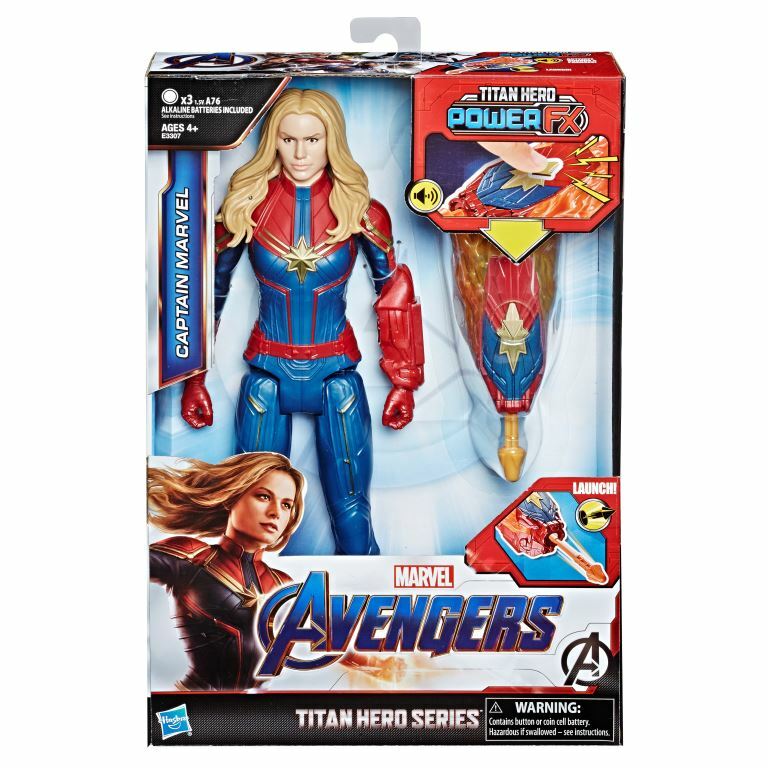 The deluxe figure line which includes Thanos, War Machine, and Hulk feature extra accessories whereas the Power FX line which includes Captain America, Captain Marvel, Ant-Man, Iron Man, and Black Panther include a Titan Hero Power FX launcher to attach to the arm to power up the figure, activate character-specific sounds and phrases from the AVENGERS: ENDGAME movie, and launch a projectile! 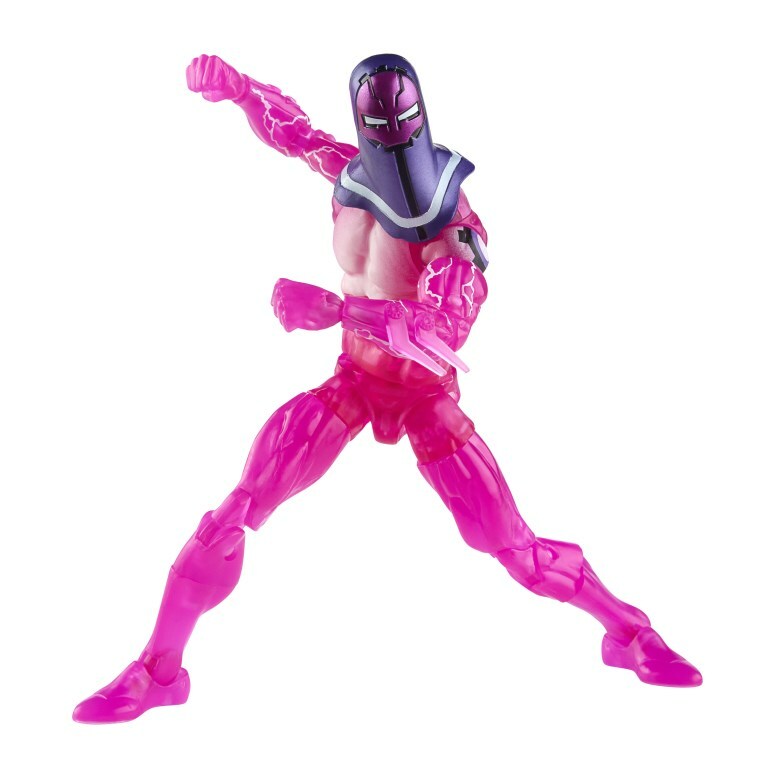 The arm launchers also connect to other compatible figures to activate character-specific sounds and phrases. 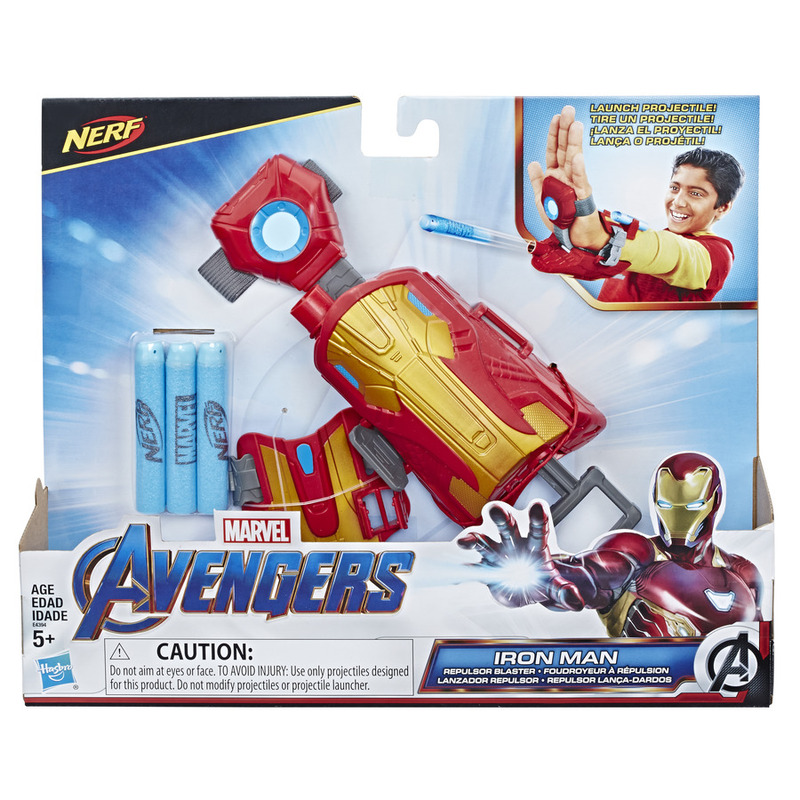 Two figures in this line Repulsor Blast Iron Man and the Shield Blast Captain America each features 15+ sound effects and phrases from the movie and movie-inspired deco. 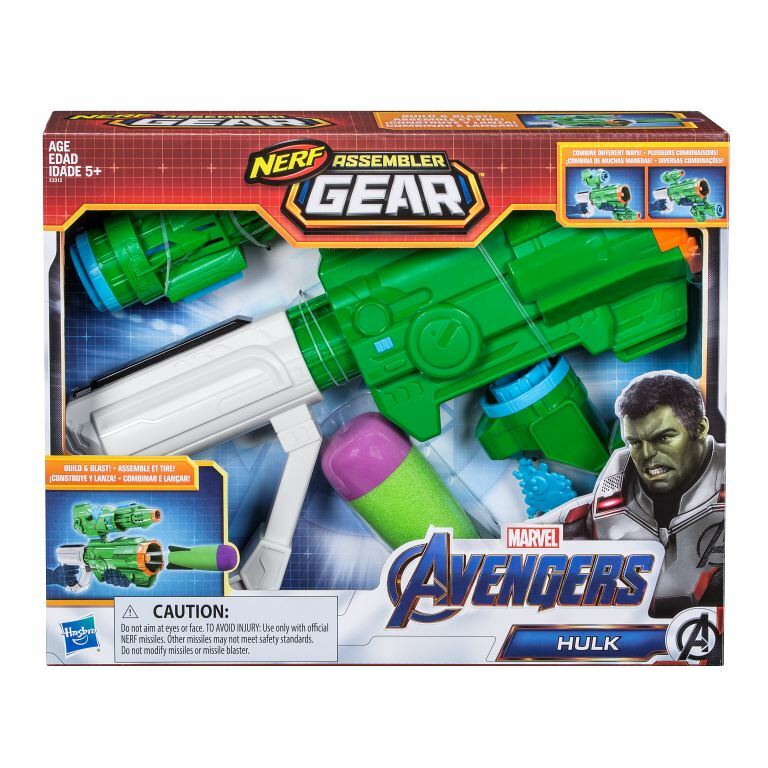 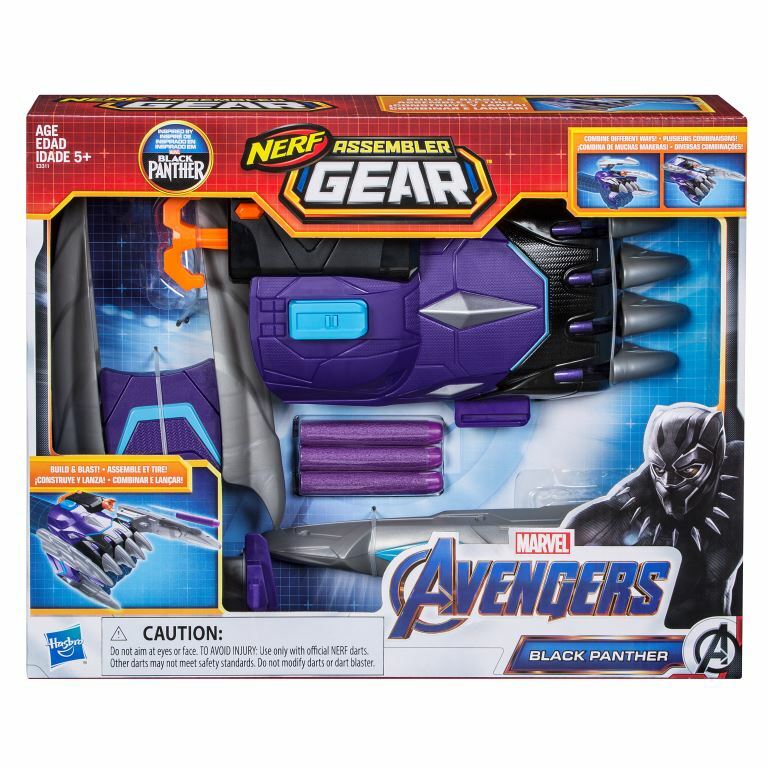 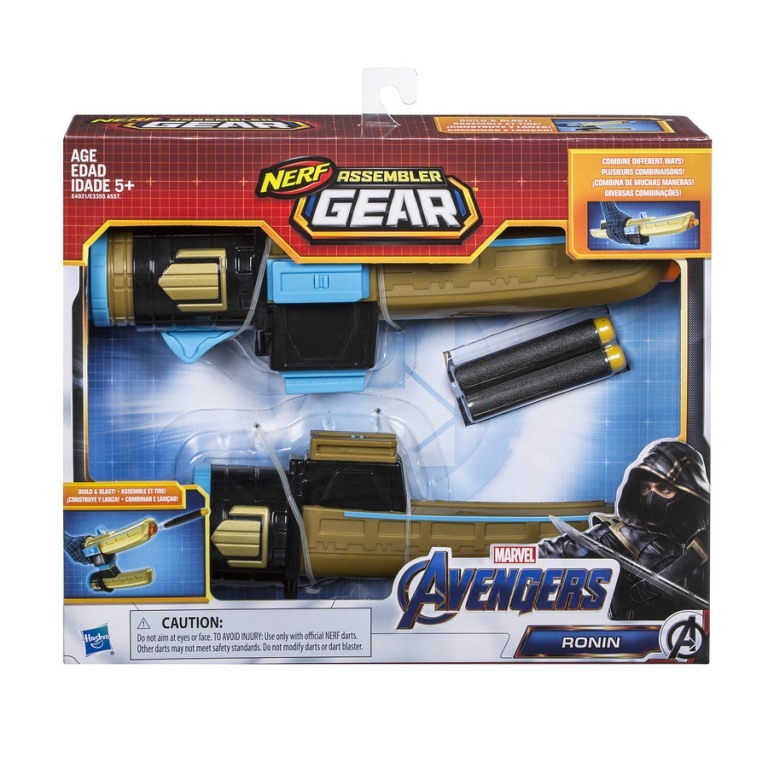 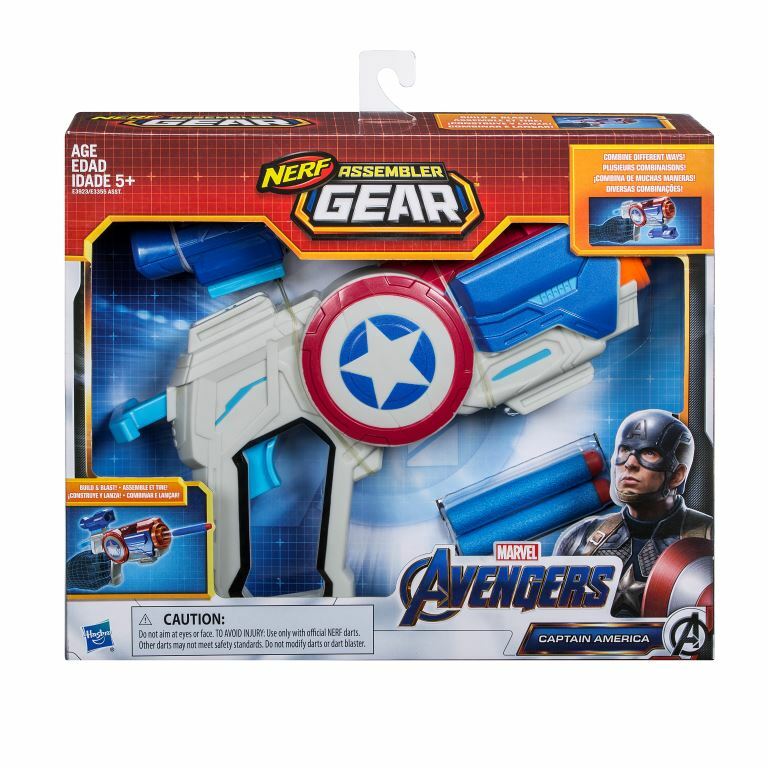 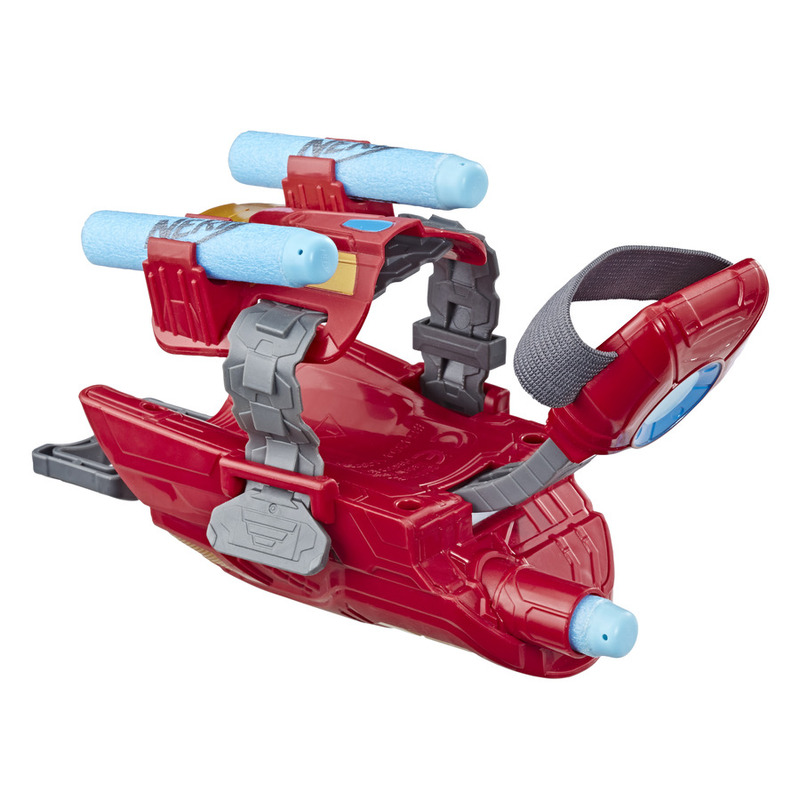 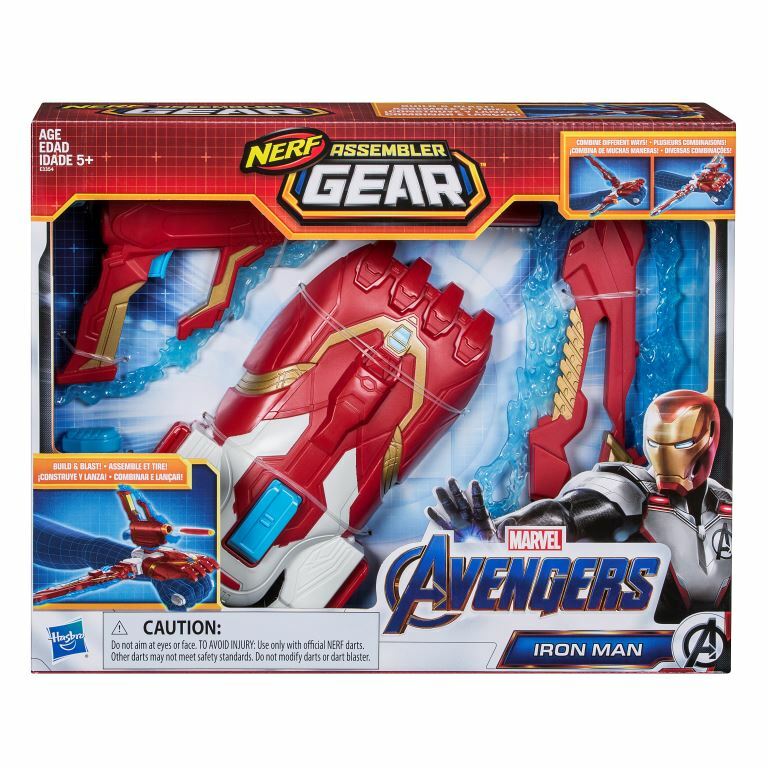 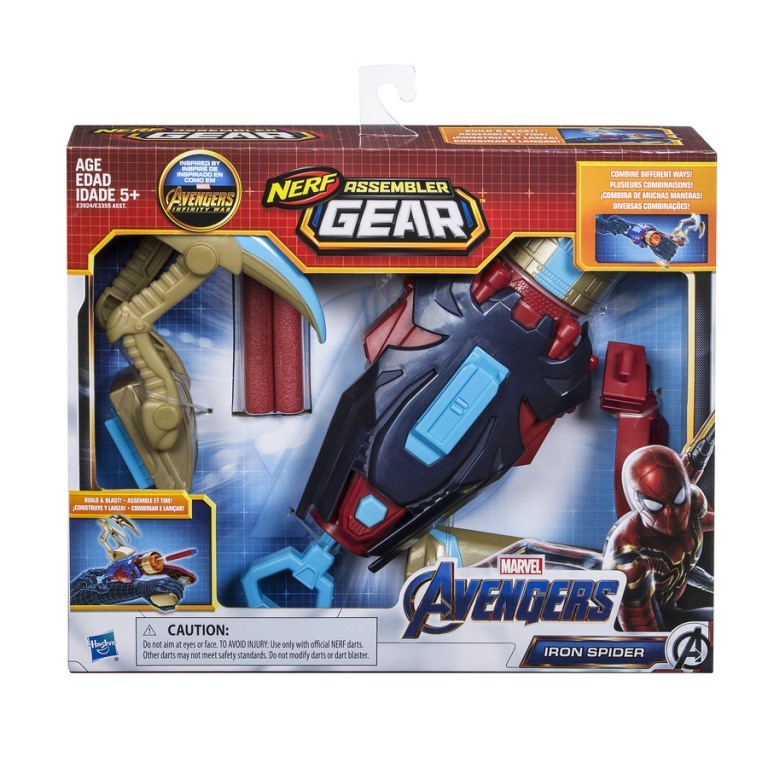 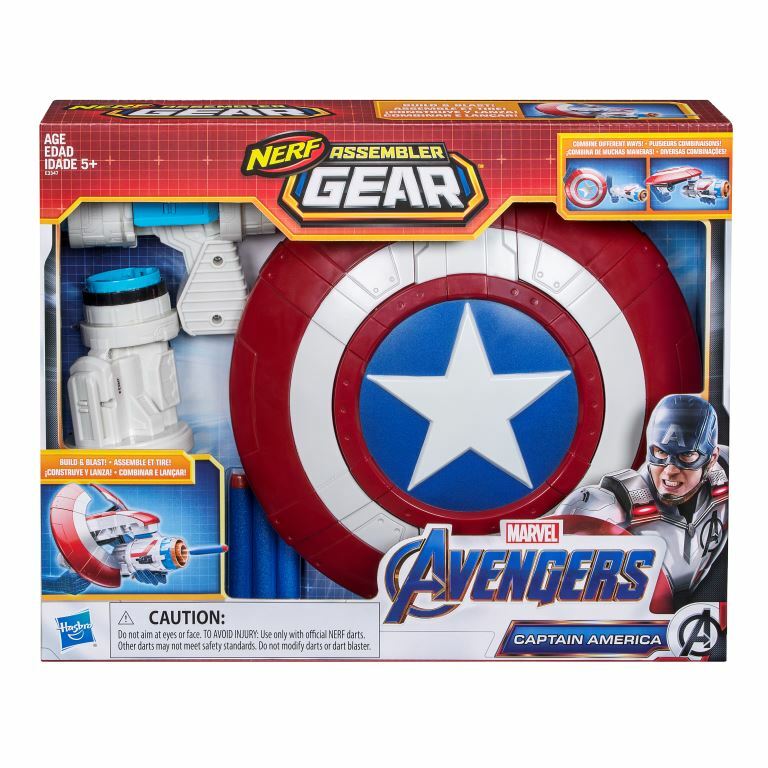 The Marvel Avengers: Endgame Nerf Assembler Gear features NERF technology, you can collect, combine, and customize each set giving over 100 combinations. 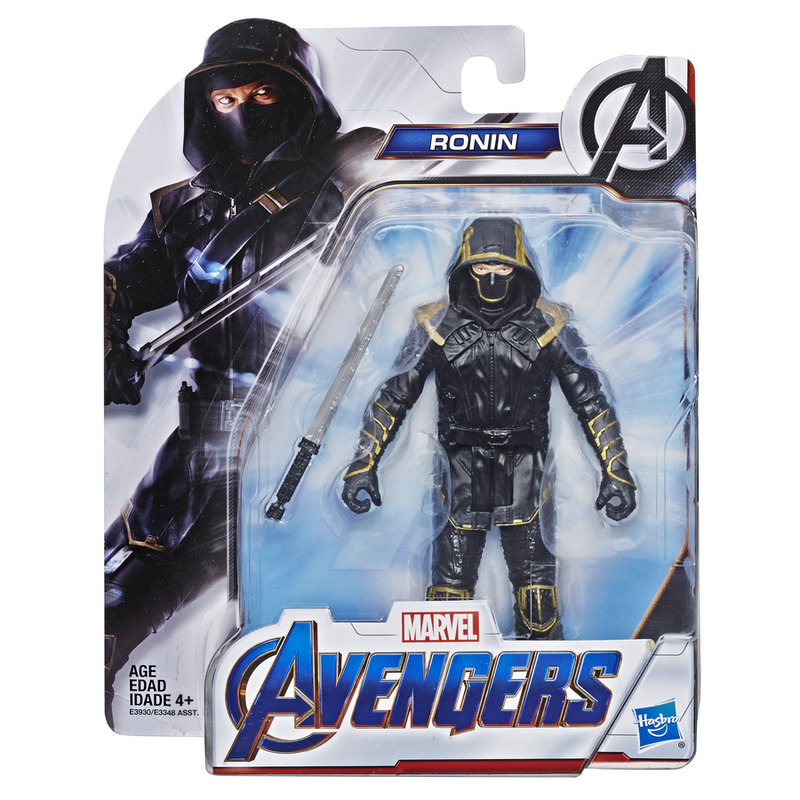 Characters include Captain America, Iron Man, Hulk, Ronin, Iron Spider, Black Panther, And Captain Marvel.